Derwyn Bunton, the Crescent City’s public defender, has refused to accept serious felony cases, claiming that underfunding means his office can’t do its job. Here’s the way it can go down in New Orleans, especially if you’re black, don’t have much money, and find yourself crossways with the law. And this is before Donald Trump becomes president. James Smith (not his real name, because his case is pending) was attending a community meeting a few months ago at a well-known club in a predominantly black neighborhood of New Orleans. Afterward, an acquaintance asked for a ride home. Smith agreed, and the two men climbed into his truck. A few blocks later, the police pulled them over. The acquaintance leaped from the truck and fled. The police searched Smith’s truck, found a bag of China White and arrested, and charged him with possession of heroin. Smith insists the drugs weren’t his. Yes, he used and dealt drugs in the past, accumulating a number of felonies along the way and serving years in jail. But two years ago, he “gave his life to God,” he says, and quit all such activities. Nevertheless, his criminal record means that he faces a prison sentence, if convicted, of 20 years to life. Smith knows a lawyer who might get the charges dismissed—the police, he claims, stopped him without cause and beat him in front of witnesses—but the lawyer costs $3,000 up front, an impossible amount. In theory, Smith is eligible for a government lawyer, free of charge. But that is a dead end these days in New Orleans. Derwyn Bunton, the chief district defender for Orleans Parish, stunned observers earlier this year by announcing that his office would stop accepting the most serious types of felony cases. Bunton took this step not because he wanted to but because chronic underfunding by the Louisiana legislature had left his staff unable to handle the case load. Whether James Smith is innocent or guilty, it is cases like his that have made New Orleans “The Incarceration Capital of the World.” The Sixth Amendment to the United States Constitution guarantees effective legal representation to anyone accused of a crime; if the accused is too poor to hire a lawyer, as is true of 85 percent of Louisiana’s defendants, the state must provide one. “That constitutional guarantee is violated every day inside this building,” Bunton told a protest rally outside the Courts of Criminal Justice on Oct. 22. Engraved on the courthouse façade above Bunton were the words, “The Impartial Administration Of Justice Is The Foundation Of Liberty.” Gathered before him were about 200 people who had marched across town in a “second line” parade, a beloved New Orleans musical ritual that has helped generations of African Americans preserve their cultural identity and sense of community in the face of racial injustices dating back to the days of slavery. “Equal Justice For All” read one of the protest signs that bobbed above the crowd beneath bright blue skies. “Fund Public Defenders Now” urged another. No country in the world imprisons a higher percentage of its people than the United States does—not China, not Russia, not even such pariah states as North Korea or Zimbabwe. And no state in the U.S. imprisons more of its people than Louisiana; according to the U.S. Department of Justice, Louisiana incarcerates 816 out of every 100,000 people, nearly twice the prevailing rate in Russia. New Orleans puts more people in jail than any other locality in Louisiana, the vast majority of whom are African American. Derwyn Bunton brought national attention to the scandal that is Louisiana’s criminal justice system by publishing an opinion article in The New York Times earlier this year. He described how years of severe budget cuts by the state legislature in Baton Rouge had shrunk his staff to the point where lawyers were handling twice as many cases as recommended by the American Bar Association. Under such circumstances, Bunton argued, effective legal representation is impossible. Not content merely to decry the consequences of inadequate funding, Bunton laid down a provocative gauntlet: Rather than be party to a charade of promising justice that could not be delivered, his office would henceforth refuse to accept any new felony cases involving the most serious kinds of allegations—crimes, such as murder, that carry sentences of life without parole. “We simply don’t have enough lawyers to handle the caseload,” he explained. Bunton cited one of the biggest mass shootings in modern New Orleans history, when 17 people were wounded in Bunny Friend Park in November 2015. Police, citing eyewitnesses, arrested a 32-year-old man. He proclaimed his innocence but was held on $1.7 million bail. Only because the man’s family was able to hire a private attorney, who traveled to Houston to obtain video evidence proving his client was in Houston the night of the shooting, did an innocent man avoid a potential life sentence. Bunton’s under-funded office never could have mounted such a defense, he concluded. Bunton emphasized that he abhorred refusing new felony cases, but felt that only such a drastic measure could generate the necessary pressure for reform. The American Civil Liberties Union duly sued his office for shirking its Sixth Amendment responsibilities; that suit is ongoing. Meanwhile, national and local media have published thorough investigations that bear out Bunton’s arguments while demonstrating that New Orleans is hardly alone in short-changing public defenders and exposing poor people of all races to legal jeopardy. In Louisiana’s 16th judicial district last June, 30 separate defendants were herded into court to plead guilty en masse—after spending less than 30 seconds consulting with their state appointed legal counsel. The main battle unfolds next April, when the state legislature will pass its annual budget. Governor John Bel Edwards, a Democrat, signed a bill last June that provided no additional funding but did reshuffle how funds can be spent. Under HB1137, 65 percent of the funds allocated for indigent defense must go to local public defenders. Supporters of the bill, including the Louisiana District Attorneys Association, argue that this proportion will ensure that “there would be no restriction of services” in the state. Opponents counter that HB1137 is really a Trojan Horse aimed at deterring public defenders from taking on death penalty cases, which are notoriously complex, long, and expensive to litigate. The real issue, Bunton insists, is the overall level of funding for indigent defense, which is simply not high enough. How likely, though, is a Republican-dominated legislature to increase funding for public defenders—defenders who represent clients many conservatives regard as mere criminals who deserve whatever punishment they get? Bunton bristles at the question. “That’s tantamount to a question I get asked a lot,” he said: “‘How do you live with yourself, representing those people?’ But I notice that nobody ever asks that question of the lawyers who represent BP and Halliburton and the other companies responsible for the  Gulf [of Mexico] oil disaster. That disaster killed 11 people on the rig, injured hundreds more on land, and ruined thousands of people’s livelihoods and the ecosystem this region depends on for commerce and recreation. But nobody asks those lawyers how they live with themselves. 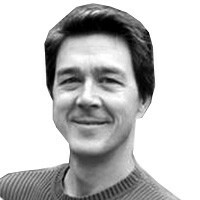 Mark Hertsgaard is an independent journalist and author. His next book is about the biggest mass shooting in New Orleans history—the Mother’s Day shootings of 2013.